The title is all we have to go with – kindly donated – but we seek guidance. We believe from the background it is close to Skinningrove works, but that makes the puzzle more interesting. Loftus Specials at Carlin How, why? Can anybody help? Many thanks to Reg Wilson for that update. Front row, A burnside Loftus, S/Sgt. E Smith Staithes, S/Insp. S. Pennock Loftus, S/Sgt W Blaylock Loftus. Anyone know what the occassion was? 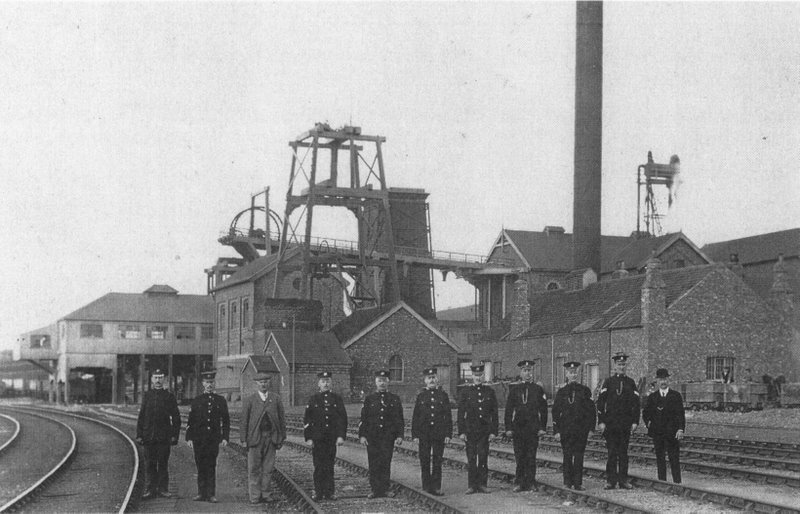 One of Brotton Lumpsey Mine in c.1912. Police and Mine security out in force, initially believed to be possibly linked to the General Strike in 1926; except that after World War I, Constables and Sergeants wore helmets. Eric Johnson has suggested they could be Special Constables. Image courtesy of Derick Pearson and thanks to Simon Chapman for the update. Fancy a Game of Billiards, Inspector? 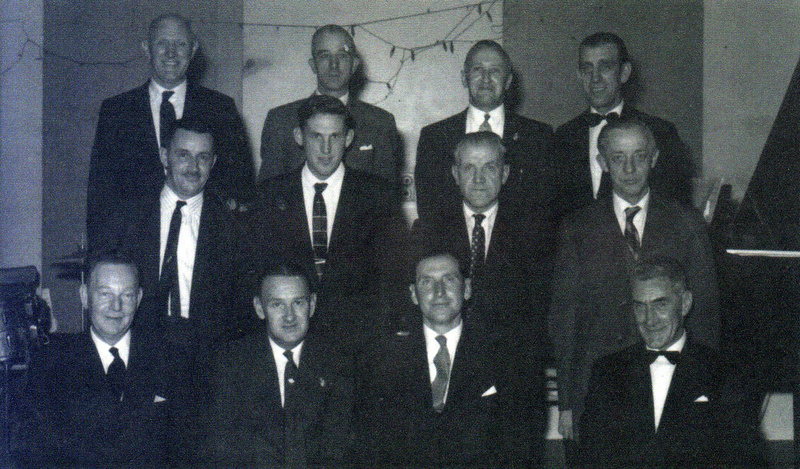 The games room in Loftus Police Station – this must have been an official function, can anyone identify the group or the event? 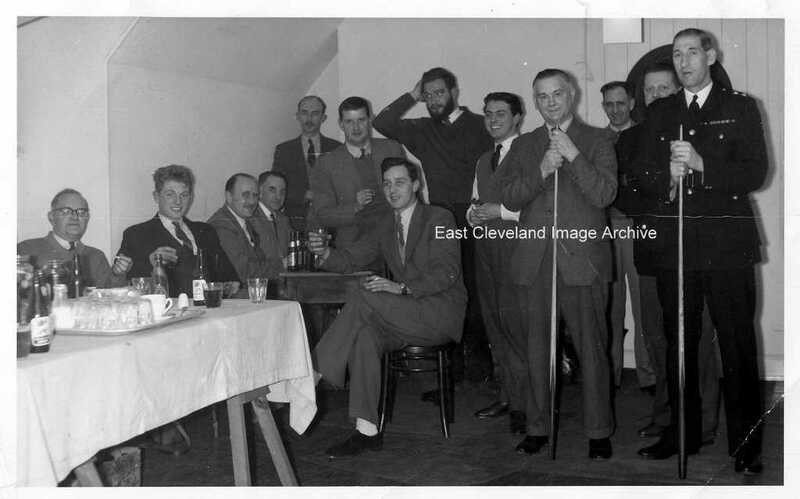 The gentleman with the beard at the rear of the group looks suspiciously like Neil Empson. L to R: Bert Davey, PC John Liley, PC Jimmy Agar, PC Bill Hutchinson, PC Peter Coser, Maurice Stephenson, Neil Empson(?), ? 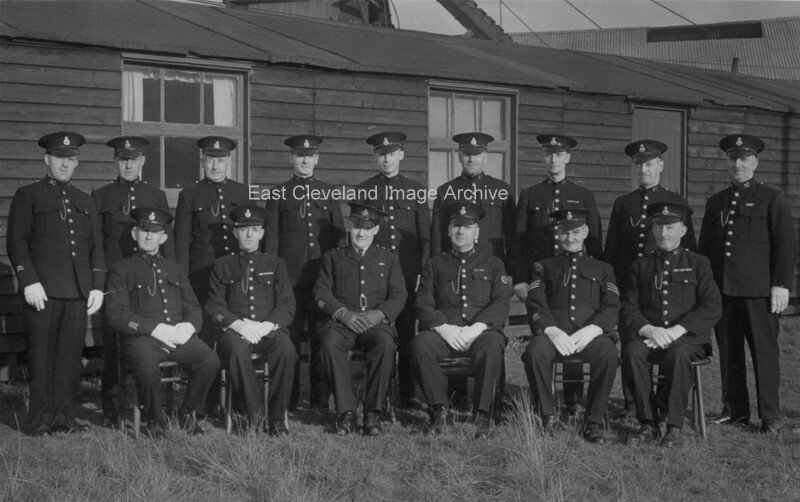 ?, Harold Norminton, PC Alf Souter, PC Bruce Wallace, Inspector Cullingworth. Thanks Eric Johnson, Ken Gillance, Tina Woodrow (nee Whetton), Linda Anderssen and Sue Mulholland (nee Wallace) for updates.